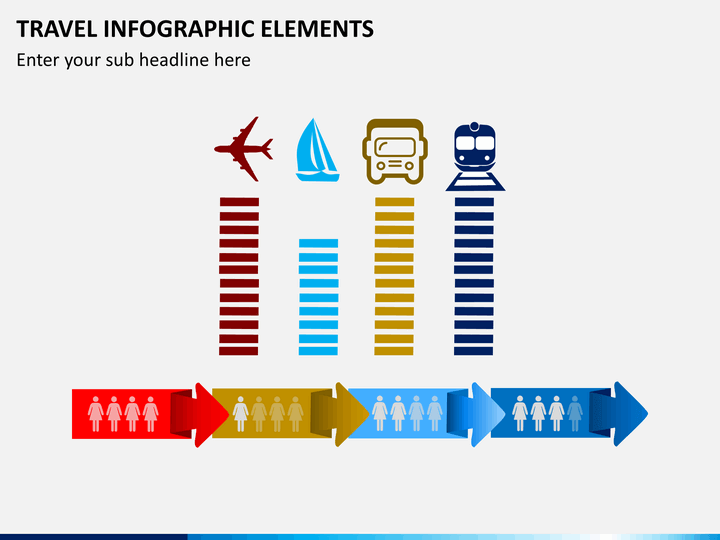 Draft impressive infographics and presentations with this entirely editable template of Travel Infographic Elements. It features HD vector-based illustrations. 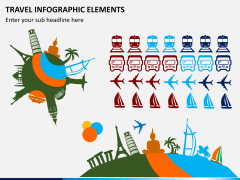 No thanks continue to checkout Travel Infographic Elements Template . 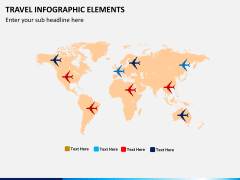 If you think drafting interesting infographics related to travel is a tedious job, then you have come to the right place. 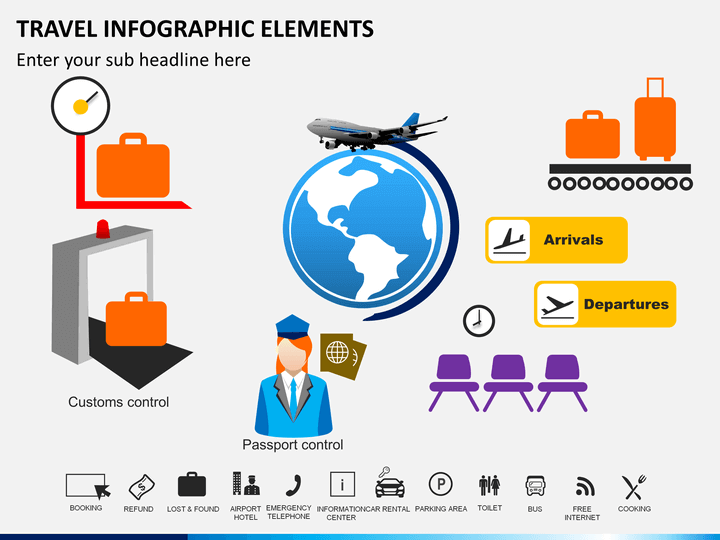 Our designers have come up with this high-quality and interesting PowerPoint template, which consist of all kinds of elements related to travel infographics. It is a must-have template for every graphic designer and professional related to the travel industry who would like to develop engaging and aesthetically pleasing content. 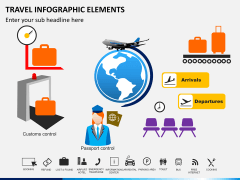 In this extensive set, you can find all kinds of elements that can be used to create travel-related infographics. From different transportation modes to the world map and global attractions to the well-known travel and hospitality icons, the set has included it all. All these elements are vector-based and have been drafted by our experts. 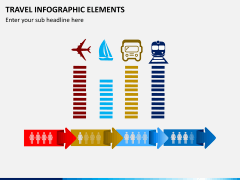 You can just include them in any other document and draft engaging infographics. Simply add your own content and further customize these vectors to give them a flawless appeal. Even if you don’t have a lot of designing experience, you would be able to use these infographic elements pretty easily. Not only to create engaging infographics related to travel, you can also use these vectors to draft a slideshow as well. 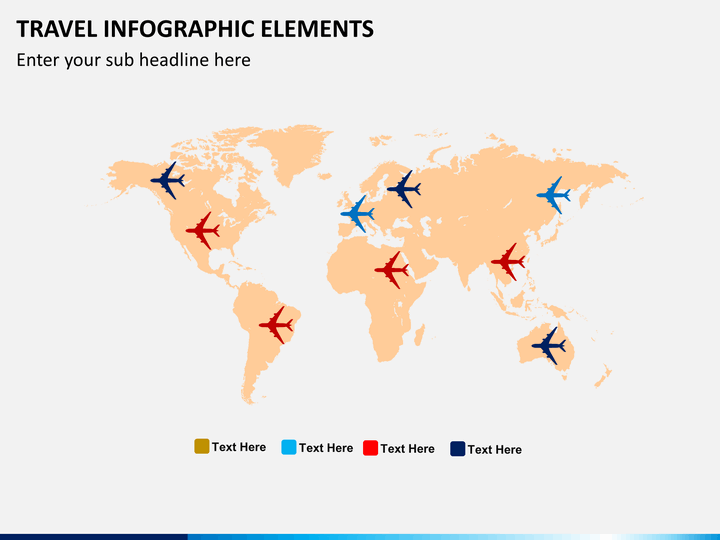 All these illustrations can be customized with a single click. 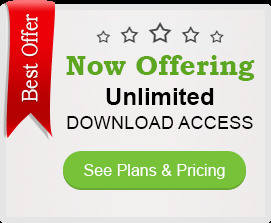 You can change their appearance, color scheme, size, and the overall layout in a hassle-free manner. 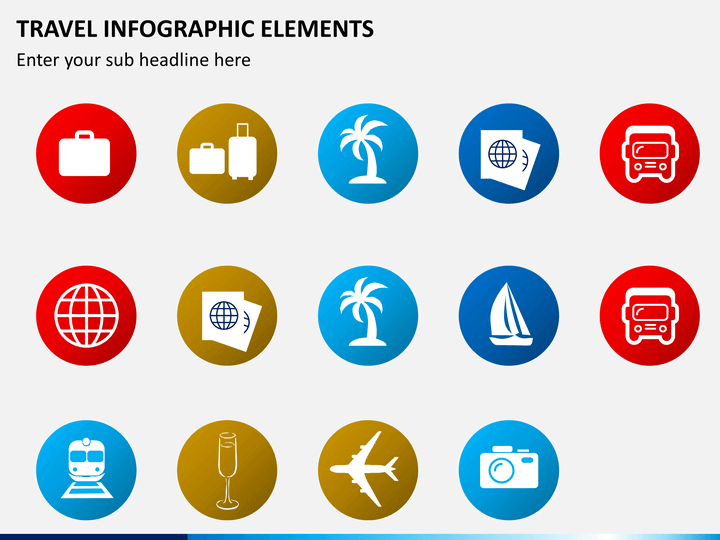 If you are working in the travel, tourism, hospitality, or any other related industry, then this would be a highly useful template for you. Even designers, social media experts, and content creators can make the most of these elements. Furthermore, travel consultants, subject matter experts, trainers, researchers, and all the other related professionals can also use this set. If you face any trouble while using these elements, then simply get in touch with us as the template comes with a dedicated customer support. With so much to offer, these illustrations will certainly come handy to you on numerous occasions. 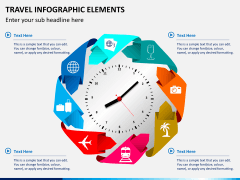 Download the template once and use it without any restriction to draft your next infographic.